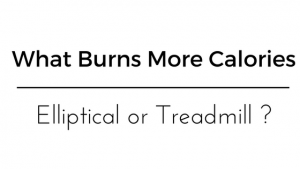 » What Equipment Burns More Calories Elliptical or Treadmill? What Equipment Burns More Calories Elliptical or Treadmill? When it comes to burning calories and losing weight, we just do anything in hope of seeing some significant improvements next day. And, we follow and listen to any advice we get to put away our unwanted weights. But, if we behave like that do we do anything good to our body or weight. Definitely Not. There is a widespread misconception in people about losing weight and that is, weight loss is a quick fix. They think if they use this or that equipment/ machine or any dedicated weight loss program. They would get a flat tummy. But the truth is that no equipment can do anything if we don’t put our body and equipment to work together. All of them must accept that it is their body and diet, not any equipment or program that matter the most when it comes to losing weight. Elliptical and treadmill or both equipment that enhances your exercise and let you lose unwanted fat the smartest way. These both equipment are available in any gym you could visit. You may be more comfortable in treadmill and less in elliptical or vice versa. The best thing of using these advanced exercising tools is you can monitor your speed, your heart rate, distance traveled all inside your gym or home. If you use any of that equipment you would definitely see positive results. How many calories do you require daily? According to the latest report of WHO (2014), globally 1900 million adults are overweight. The report also claims that obesity and overweight affect even children and finds 41 million children below 5 years old overweight or obese. The complications of obesity and overweight are responsible for a range of deadly diseases. Some of those are hypertension, diabetes, sleep disorders, high triglyceride levels, kidney disorders etc. If anybody eats a balanced diet and take care of calories intake with exercise, the chances of becoming obese or overweight drops significantly. A proper planning of your fat loss schedule is required to achieve the results you dream of. First, you need to know how many calories you require so that you could plan your diet accordingly. Not everybody requires 2000 calories a day. You may be on upper or slightly lower sides of calories requirement. And once you have a plan you need to follow it faithfully. You must always remember that you must be consistent in what you planned to see positive impacts. Many times people leave when they don’t see any result in one or two months of exercising. What is the best: Elliptical or Treadmill? It basically depends on one's choice and affordability. You can also burn calories walking, cycling or doing some basic exercise at your home. If you’re obese or overweight and seeking to lose fat you must immediately control what you’re eating and be active as much possible. Some tips that could speed up your fat loss are, control the calories you take, avoid eating junk foods, cook at home, get good sleep and be consistent in your attempts. Have you tried elliptical or treadmill? What is your weight loss goal? Please share your thoughts in comments.